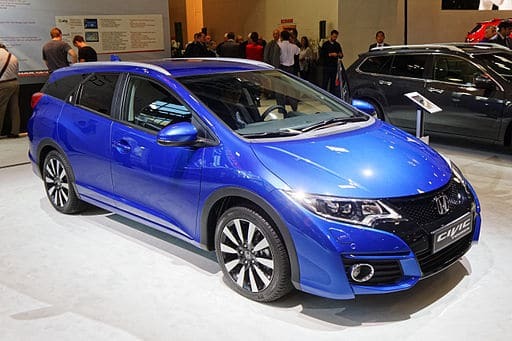 The 2014 Honda Civic Tourer: Should You Buy One? The Honda Civic is a hatchback that’s been in production since the 1970s. These days, it now comes in “Tourer” format. Everyone knows that Honda cars are well-built and feature a plethora of modern technology as standard. But one thing that some who like this Japanese marque don’t like is how big the Accord Tourer is. 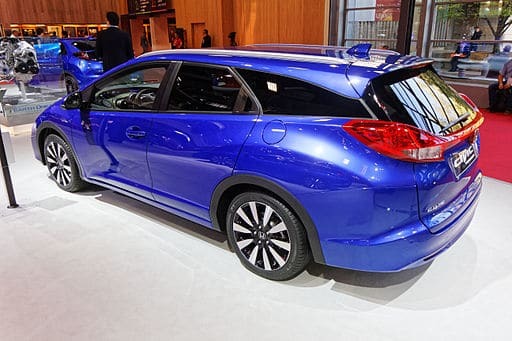 Honda have come up with a solution to that problem by create a Tourer variant of their popular Civic model. When you first set eyes on this car, you might think it looks a tad small on the outside. But it’s what’s inside that counts, and you’d be amazed at the cavernous interior and boot space! Perhaps the primary reason people buy estate cars is because they need the space! Honda claims that the space in the boot with the seats up is 624 litres. That’s more than you’d find in a car like the Ford Focus estate or the Vauxhall Astra tourer. With the seats down, this volume increases to 1,668 litres. One thing that catches some people out is that they forget about the extra storage space underneath the boot floor. With that removed, you gain access to another 120 litres. Of course, if you choose a Civic Tourer with the optional spare wheel, you don’t have access to that space. The back seats are of the 60/40 split-folding design. When you fold them down, they make the floor flat. That’s a welcome feature from anyone that is likely to lug around a lot of cargo on a regular basis. One thing that Honda engines are notorious for is the fact that they are well-built. The only likely issues you will have is with the diesel units, but that can be said of any modern diesel engine. The petrol engines are pretty bulletproof, as far as reliability goes. Even 10+ year old Honda engines are still going strong. They also have service intervals of 12,000 miles. That can equate to cheaper servicing and maintenance in the long term. Honda has a habit of “over-engineering” everything. That seems to be the case with their i-VTEC petrol and i-DTEC diesel engines. Yes, that’s a positive point for reliability. But, the downside is that some parts can be expensive to replace if things did go wrong for whatever reason. Still, the good news is that the new Honda Civic Tourer won’t leave you stranded by the side of the road, now or in a few year’s time! It also means that if you’re looking at some used cars for sale, and you get a Civic Tourer, you won’t need to spend lots of cash fixing things. There are two engines on offer for the new Honda Civic Tourer. The petrol option is the 1.8-litre i-VTEC power plant. It boasts 140 brake horsepower and will get you to 60 mph from a standing start in 8.9 seconds. With a top speed of 130 mph, this 16-valve unit offers low CO2 emissions of 146 g/km. Fuel economy is a modest 45 mpg combined. Moving over to the diesel option, you have the 1.6-litre i-DTEC engine. It offers less power at 118 brake horsepower, but that’s partly because of its smaller displacement. Its 0-60 mph time is 9.8 seconds, and it has a top speed of 121 mph. People that choose the diesel engine will most likely do so because of its economic benefits. For instance, it has a fuel economy of 74 mpg combined. And with CO2 emissions of just 99 g/km, it is exempt from car tax in some parts of the world like the UK. The standard transmission that comes with either engine is a six-speed manual. If you want an automatic, it’s available as an option on the 1.8-litre i-VTEC petrol units. At the moment, it’s not possible to get one with the i-DTEC diesel engine. As with all modern Honda models, the Civic Tourer feels safe and stable on the road. Body roll is minimal, and the steering system ensures a responsive and linear feel. The top spec models come with adaptive rear suspension. In a nutshell, you can control the handling from the rear wheels to provide optimum comfort and stability. If you buy a Civic Tourer with this feature as standard, you can choose from three different modes by the gear lever. First, you’ve got “Dynamic” mode. It’s a setting you would use if you want the rear suspension to react to changing road conditions. “Normal” gets used for everyday driving along similar types of roads. While “Comfort” softens the handling as much as possible. The “S” trim comes with a DAB digital radio and CD player as standard. It also offers Bluetooth connectivity, so that you can safely use your mobile phone while you’re on the road. With the “SE Plus” trim, you also get rear parking sensors. The Civic Tourer isn’t as large as some estate cars on the market. But, if parallel parking isn’t your thing it can make sure you don’t reverse into any other cars! The “SR” trim level comes with the adaptive rear suspension that I mentioned a moment ago under the Handling section. You also get satellite navigation, which is a welcome bonus with today’s expanding towns and cities. Finally, the top of the range trim is the “EX.” Apart from the features listed on the lower trims, it also comes with a keyless entry and start system. 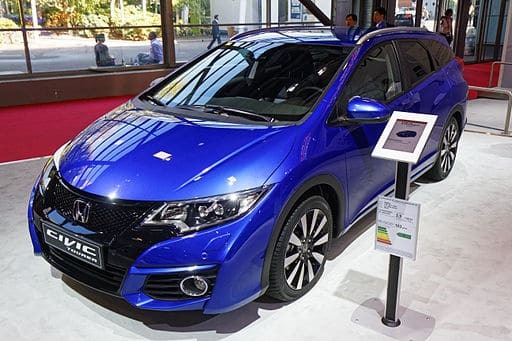 The new Honda Civic Tourer aims to add a bit of luxury to estate cars in its segment. If you’re in the market for something better than its competitors, it’s worth considering the Civic Tourer. Even reading this amazing review, I don’t know! I’ve never tried a Honda, maybe it’s time!